Primary care is a scarce commodity in New Jersey, and the volume of persons with increased access to health care will further exacerbate the already stressed system. The state needs more primary care doctors to meet patient care demands fueled by an aging population. One way state officials propose to deal with the physician shortfall is to increase the autonomy of advanced practice nurses (APNs). APNs are licensed specialists who use their graduate-level training to treat patients. In New Jersey, all APNs have prescriptive authority and are able to write some prescriptions through a joint protocol with a collaborating physician. In primary care, there’s a huge demand for APNs as hospitals and health centers snap them up to provide care for low-income families. The APNs approach to care is holistic and emphasizes the promotion of health and disease prevention. There are approximately 6,500 nurse practitioners in New Jersey. The job outlook for the profession is excellent as employers use them to provide cost effective and high quality care to vulnerable populations who would not otherwise have access to primary care. The ever-changing health care environment requires health professionals, and nurses, in particular, to have excellent leadership skills and advanced clinical skills. The master’s of science in nursing effectively equips nurses with the knowledge and skills necessary to practice at an executive level. The program covers core nursing courses in addition to specialty courses to educate nurses in such a way as to serve in their places of work in the best way possible. New Jersey’s MSN programs are among the best in the nation with excellent instructors and a solid curriculum. The programs are designed to meet the educational needs of registered nurses looking to advance their education. Traditional, online, and hybrid formats are available to accommodate the flexibility requirements of working RNs. The graduate nursing curriculum prepares students to fill specialized roles. Therefore, your preferred area of specialty will determine where you study. Apart from preparation to serve specific populations, the curriculum will promote the development or expansion of leadership and critical thinking skills that will make graduates an asset to the profession. Hospitals and other health care providers are eager to hire advanced practice nurses because of their demonstrated record of success and work ethic in the delivery of patient care in the highly complex health care systems. The MSN program supports nurses in their examination of the role of the professional nurse in fulfilling the complex needs of families, groups, and communities. Apart from leadership and critical thinking, students in every specialty track will understand the importance of health promotion, cultural influence on care, and primary prevention. After completing the program, the graduate must sit a national certification exam in the area of specialty from an accredited certifying body. These computer-based certifying exams contain 200 or more questions. To apply for a license to practice in New Jersey, the APN graduate must submit documentation of completing graduate study in nursing and achievement of national certification from an accredited body. RN to MSN: Saint Peter’s University and Monmouth University in New Jersey are examples of two institutions that facilitate the RN to MSN bridge program, which gives nurses with an associate’s degree in nursing an excellent opportunity to begin graduate study. The bridge program reduces the amount of classes the students must complete by limited redundancy and thereby reduces the time to engage in advanced practice. Some programs award the BSN degree at some point in the program while others award only MSN upon completion. Check each university for exact details. Direct Entry MSN: If you hold a baccalaureate degree in nursing or a non-nursing baccalaureate degree (with some other specifications), you can enroll in the Nurse Practitioner program at the College of New Jersey. There are other direct entry programs offered at other universities in New Jersey. Admission requires a bachelor’s degree in nursing. Students must complete 45 to 62 credit hours, depending on specialty, to graduate from the program. Post-Master’s Certificate: Post-master’s study pertains to individuals who already hold a master’s degree in nursing and certification in a specialty track. The program gives these APNs an opportunity to receive the educational preparation in another specialty to perform in a different role. The area of study may be related to the current area of certification or one that is altogether different. The certificate program may be completed in three to six semesters. Most masters of science in nursing programs are available in flexible online or hybrid format. They will include a vital clinical rotation where students will participate in at least 600 hours of clinical practice to develop clinical skills in their area of specialty. Admission will require a minimum associate’s degree nursing for bridge programs or a baccalaureate degree in nursing for the direct entry program. Graduate from an accredited associate’s degree in nursing program – for entry into bridge MSN programs. An undergraduate GPA of 3.0 or above. An active registered nursing license in New Jersey. A completed application for admission to graduate study. Prerequisite courses completed with a grade C or above. Courses may include health assessment, statistics, etc. Letters of character from professional sources. Clinical nursing experience – the extent will depend on the program. Once accepted to the program, students must provide evidence of CPR certification, criminal background clearance, negative drug test, liability insurance, and adherence to the health requirements. A direct entry master’s student can spend as much as $49,430 to complete the requirements to graduate. Since the RN-to-MSN bridge requires additional coursework, the total cost of tuition will be more than direct entry students. However, the full cost will be less than completing the BSN and MSN separately. In addition to tuition, nursing students must budget for nursing supplies, clinical health requirements, transport to the clinical sites, certification exam fees, insurances, and other miscellaneous expenses. Practice as an Advanced Practice Nurse requires certification from the New Jersey Board of Nursing. If you’re trained and certified to work as a nurse practitioner or clinical nurse specialist, you must apply for certification from the Board. 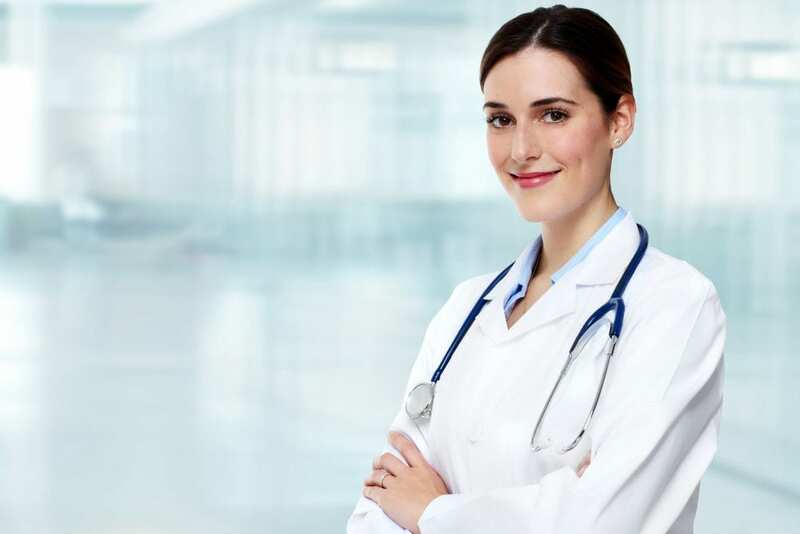 Nurse Practitioners and Clinical Nurse Specialists in New Jersey are known as Advanced Practice Nurses and are able to sign their credentialing as R. N., A.P.N. The state currently has about 4,000 Certified APNs practicing in 17 specialties. As an APN, you’ll have prescriptive authority once you have a joint protocol with a collaborating New Jersey licensed physician. Before applying for certification, you must read all applicable regulations related to Advanced Practice Nursing. The state certifies nurse practitioners, clinical nurse specialists, and certified registered nurse anesthetists who are prepared at the master’s level. Applications are available at the Board’s office, and you can request one via email by submitting your name, phone number, high degree related to advanced practice, your area of specialty and certification, and the type of application you need. A completed application form – make sure to answer all applicable questions. The application fee of $100. The fee is non-refundable and must be paid using a check or money order only. A certificate fee of $80 to $160 will apply after the Board processes the application. Documentation of current registration as a professional nurse in New Jersey. Official transcripts from the nursing program to verify that you meet the Board’s educational requirements for Advanced Practice Nurses. The college/university must send the transcripts directly to the Board. Documentation of passing the highest-level APN exam in the chosen area of specialty. The certifying agency must send confirmation directly to the Board of Nursing. Documentation to verify that APN certification/licensure held in other states is in good standing. Documentation of completing a graduate level course in Pharmacology compromising of at least 3 credit hours. The course must be accredited by a Board-recognized accrediting agency. Alternatively, you may submit documentation of completing at least 45 hours of pharmacology that may have been integrated in the master’s in nursing program. If submitting documentation of completing a three-credit pharmacology course, it must have been completed within 5 years from the date you apply for certification as an APN. If you completed the course more than 5 years prior to the application, you must complete at least 30 contact hours of continuing education related to your specialty scope of practice and includes pharmacokinetic and pharmacodynamics principles and their clinical application. The continuing education must also include the use of pharmacological agents in disease prevention and the restoration and maintenance of health. New Jersey grants a temporary work permit to students who graduate from a master’s or doctorate level nursing program that fits them for advanced practice. You can apply for the temporary permit to work while you wait to take the exam for certification as an APN. Submit a request for a temporary permit with your application for licensure. The temporary work permit does not include prescriptive authority, and you must use the designation Applicant Advanced Practice Nurse during practice. APN certificates are valid for two years. The renewal date will coincide with the renewal for the registered nurse license. Submit your renewal request online. Along with the request, you’ll need to provide documentation of current certification from a national certifying agency and the renewal fee of $160 to cover the RN and APN registration. The fee is may be submitted online using a credit card. Your license may be suspended if you do not initiate renewal within 30 days for the expiration date. Once suspended, you must submit a reinstatement application to reactive your license and begin practicing as an advanced practice nurse. The fee for late renewals is $50. The continuing education requirements for APNs are 30 hours in each biennial period. A maximum of 15 hours of additional (extra) continuing education units may be transferred to the next biennial period.